Remember when you learned to ride a bike? Once the training wheels came off, the only way to gain confidence and feel less wobbly was to practice, practice, practice. It’s kind of like that when you’re learning about wine. Not the wobbly part, though. That usually happens when you’ve “practiced” a bit too much , but I digress. In recent years, I’ve made it a point to attend as many wine tasting events as possible. Where else could you choose from 70-plus wines to taste in just a few hours? If you want to train your palate (minus training wheels and crash helmet), get thee to a tasting! Here are six ways you can improve your wine knowledge at a tasting event. And if you read to the end, there’s a little incentive to get you started. 1. Ask questions. Wine reps at tasting events are generous with their knowledge, so fire away. Ask about food pairing suggestions, the region where the grapes were grown, whether you can find the wine at your favorite bar, and what the wine sells for. 2. Take notes. Keep a small notebook in you purse or pocket to jot down names, flavors, likes and dislikes. This will serve as your handbook the next time you’re buying wine at a store or restaurant. 3. Taste wines you’ve never tried before. At an Italian wine tasting last year, I got to try a premium Sassicaia for the very first time. My palate will never be the same. If you keep an open mind and are willing to try something that’s totally unfamiliar, you may find a new favorite. Or, as in my Sassicaia epiphany, you can sample a high-end wine that may otherwise be out of your budget. 4. Discover your dislikes. The flip side of the above tip is discovering you don’t care for a particular varietal or wine style. If this happens, don’t just rush off to the next tasting station. Pay attention to what turned you off about the wine. Knowing what you don’t like saves you from buying a similar style of wine in the future. 5. Make full use of the dump bucket. It’s not rude to pour an unfinished serving into a bucket. That’s why they’re there. And the more you drink, the less you’ll be able to distinguish flavors and aromas. So pace yourself–and eat before you go. 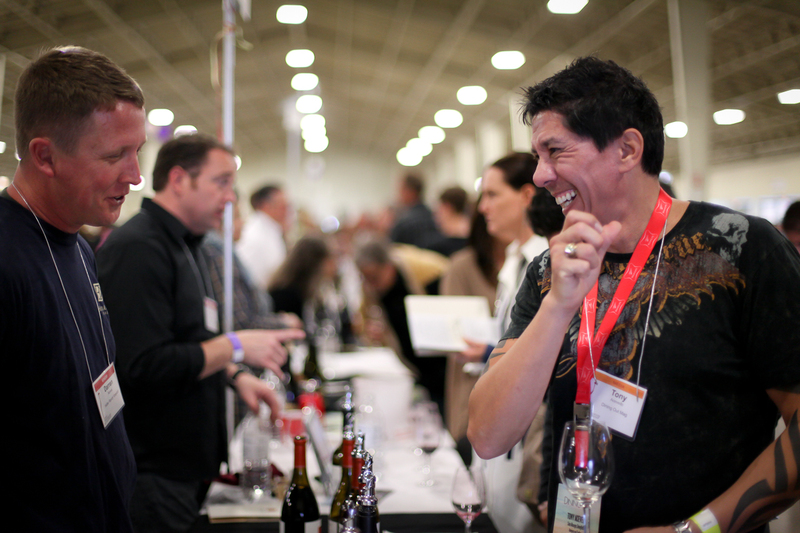 Tasting events are all about the wine, and often there’s little to no food. 6. Have a plan. 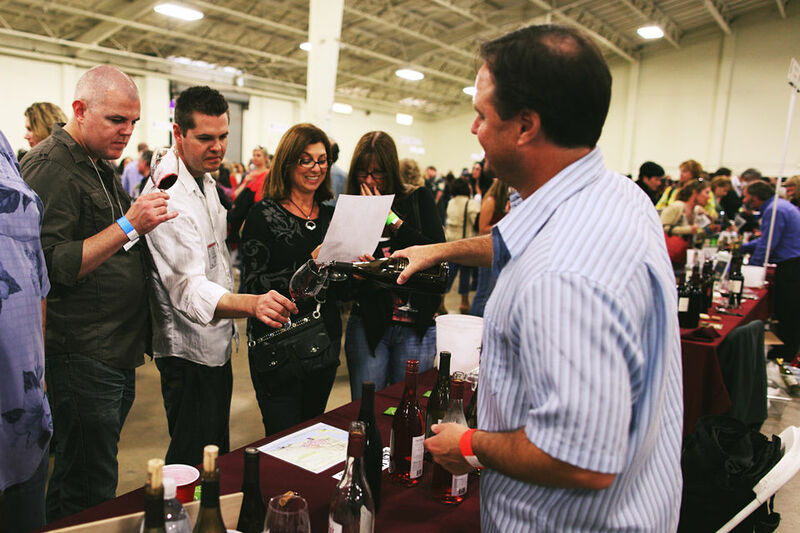 You won’t be able to sample each and every wine at a large-scale tasting, so be strategic. Larger tasting events will provide a booklet listing all the wineries, and sometimes even the wines. Flip through it and target wineries you like, or ones you may not know. Or you may decide to focus on a particular varietal or region. Want to put these tips into practice? 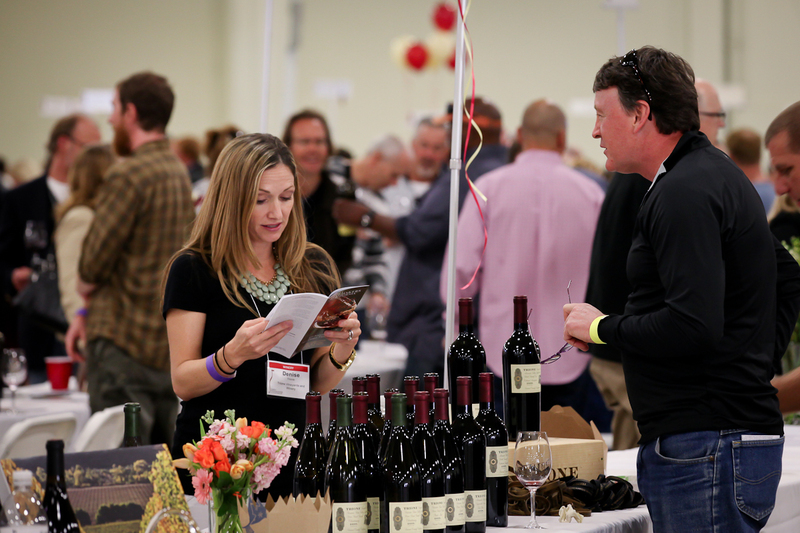 If you’re in the area, check out the Family Winemakers of California tasting at the Pasadena Convention Center on Sunday, March 9 from 3:30 to 6 p.m. Buy your tickets online by March 8 and take advantage of an exclusive 10 percent discount for Señorita Vino readers. Full details and the discount code are on my Events page. ¡Salud! I haven’t done such a large trade tasting, but one thing I’ve noticed even at smaller events is that it can be quite useful to have a little swig of water in between wines to cleanse the palate. Otherwise, and particularly with punchy red wines, you can get palate fatigue! Excellent advice, Tim! Water certainly does cleanse the palate between wines, and it helps keeps you hydrated. 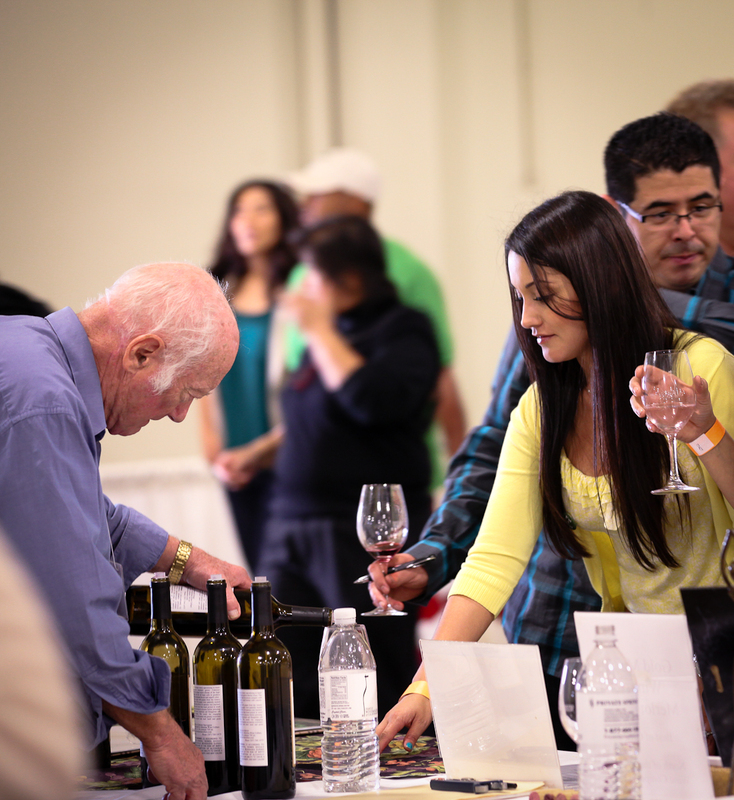 Most tastings will have bottled water available for participants, and it’s almost always included as part of the registration fee. 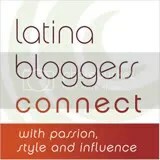 Thank you for chiming in and Cheers/Salud!